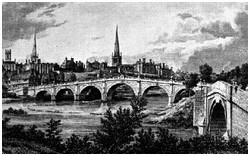 I was born at Shrewsbury on February 12th, 1809, and my earliest recollection goes back only to when I was a few months over four years old, when we went to near Abergele for sea-bathing, and I recollect some events and places there with some little distinctness. Shrewsbury, where Darwin was born. As it looked in 1825. My mother died in July 1817, when I was a little over eight years old, and it is odd that I can remember hardly anything about her except her death-bed, her black velvet gown, and her curiously constructed work-table. 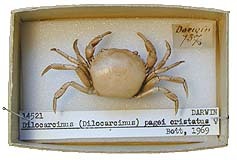 By the time I went to day-school my taste for natural history, and more especially for collecting, was well developed. I tried to make out the names of plants, and collected all sorts of things, shells, seals, franks, coins, and minerals. 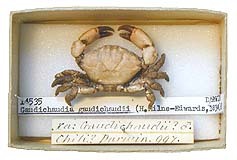 The passion for collecting which leads a man to be a systematic naturalist, a virtuoso, or a miser, was very strong in me, and was clearly innate, as none of my sisters or brother ever had this taste. To my deep mortification my father once said to me, "You care for nothing but shooting, dogs, and rat catching, and you will be a disgrace to yourself and all your family." After having spent two sessions in Edinburgh, my father perceived, or he heard from my sisters, that I did not like the thought of being a physician, so he proposed that I should become a clergyman. He was very properly vehement against my turning into an idle sporting man, which then seemed my probable destination. H.M.S. Beagle painted by Conray Martens. Considering how fiercely I have been attacked by the orthodox, it seems ludicrous that I once intended to be a clergyman. Nor was this intention and my father's wish ever formerly given up, but died a natural death when, on leaving Cambridge, I joined the Beagles as naturalist. 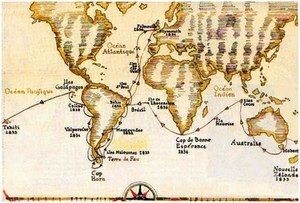 The voyage of HMS. Beagle. 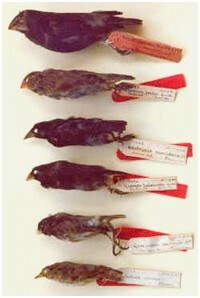 Some of the new species discovered by the Beagle expedition. 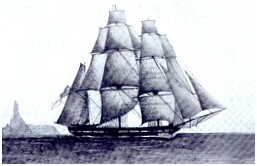 A fine lithograph of HMS Beagle under sail. H.M.S. Beagle in Sydney harbour. 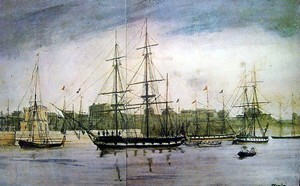 1841 watercolour by Owen Stanley. 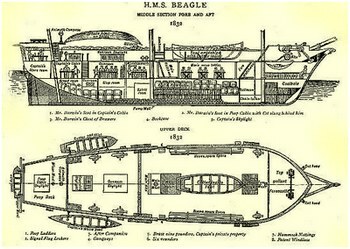 The voyage of the Beagle has been by far the most important event in my life, and has determined my whole career... I have always felt that I owe to the voyage the first real training or education of my mind..
H.M.S. 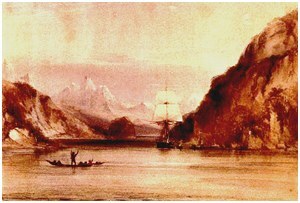 Beagle in the Straits of Magellan, 1833.
in the Muesum of Natural History at Oxford University. Looking back as well as I can at my character during my school life, the only qualities which at this period promised well for the future, were, that I had strong and diversified tastes, much zeal for whatever interested me, and a keen pleasure in understanding any complex subject or thing. 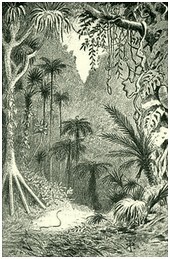 The first edition of Darwin's Voyage of the Beagle, (left) and some of the subsequent editions. Two lithographs from 'On the distribution of coral reefs with reference to the theory of their formation.' 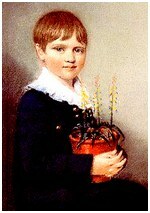 1842. 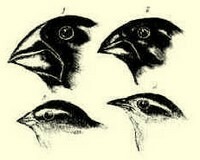 From 'The Zoology of the Voyage of H.M.S Beagle.' 1843. by Thomas Bell. is one of degree and not of kind.